Munich, November 2nd, 2016 – At electronica 2016, the World’s Leading Trade Fair for Electronic Components, Systems and Applications taking place November 8-11, 2016 in Munich, the international Standards Group for Embedded Technologies e.V. (SGET) will be hosting for the first time the group’s own exhibition stand. 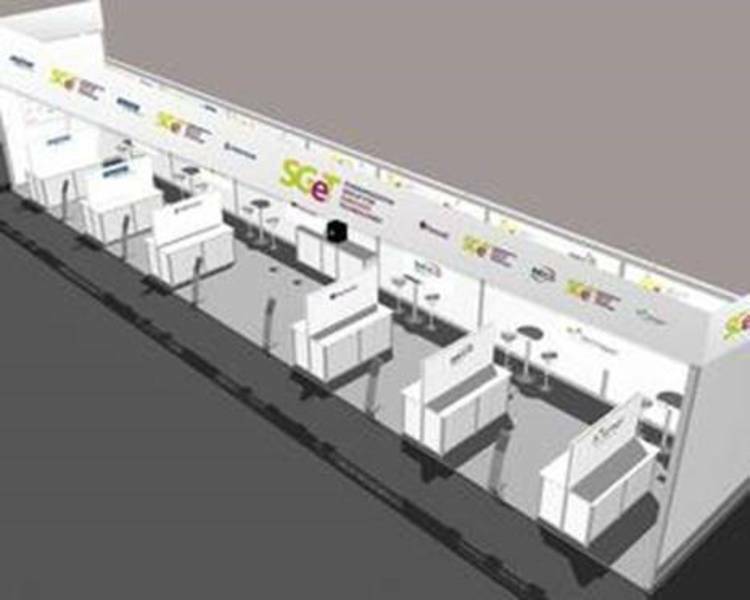 The 2016 electronica SGET community booth in Hall 6, Stand 549, will feature exhibits from SGET corporate members Aaeon Technology Inc, Advantech, Portwell Technology, Pentair Electronics Protection Schroff GmbH, SECO srl and technagon GmbH. In the spring of this year two standards teams adopted new specifications. The Qseven standard is now at Version 2.1, and SMARC has released Version 2.0, opening the door for new product possibilities. “I expect many more new trusted products at electronica 2016”, predicts Hoermannsdorfer. In addition to the members represented at the SGET community stand, visitors will find many SGET members with their own stands throughout the exhibition, including apra norm Elektromechanik, b-plus, congatec, Data Modul, DFI, E.E.P.D. Electronic Equipment Produktion & Distribution, Elma Electronics, Engicam s.r.l, ept, ERNI Electronics, F & S Elektronik Systeme, Fujitsu Technology Solutions, iBASE Technology, ICC Media, ICOP Technology, iesy, IRISO Electronics Europe, Linutronix, MSC Technologies, Samtec, Sintecs BV, TQ-Group, Vogel Business Media and WEKA Fachmedien. All companies from the Embedded Computing Industry are invited to join the SGET e.V. and enrich the ecosystem with their ideas. Apart from embedded computing board and system level providers, semiconductor and connector manufacturers, software developers, research and educational institutions, embedded systems integrators, OEM solutions providers and industrial users are vital and highly valued community members.